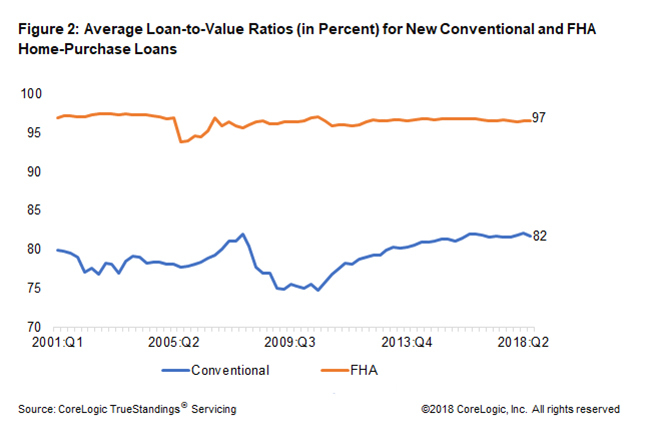 A deep dig into recent home purchase loans shows that some of the underwriting standards employed by FHA and the GSEs (Fannie Mae and Freddie Mac) eased over the year that ended with Q2 2018. 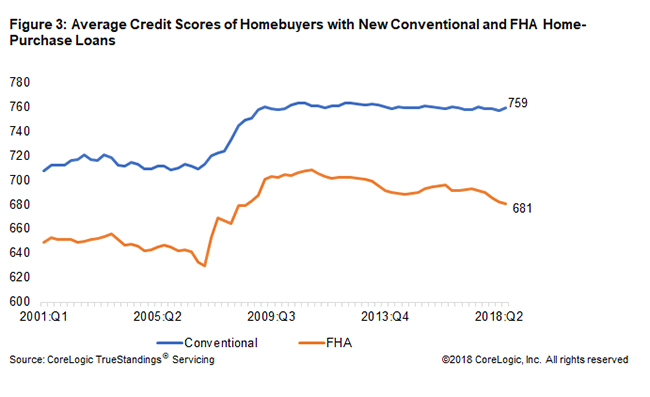 Archana Pradhan, an analyst with CoreLogic’s Mortgage Finance and Risk Management Department writes in the company’s Insights blog that neither conventional nor FHA lending extended the easing to their respective treatment of credit scores. In July 2017 Fannie Mae raised its maximum DTI from 45 percent to 50 percent. The average DTI ratio had been rising steadily since mid-2013, but took off after that change, rising 2 percentage points from the second quarter of 2017 to almost 37 percent by the same quarter this year. The average DTI for FHA loans started to rise after Q2 2015 and by the second quarter of this year had risen to 43 percent, its highest level in at least 14 years. 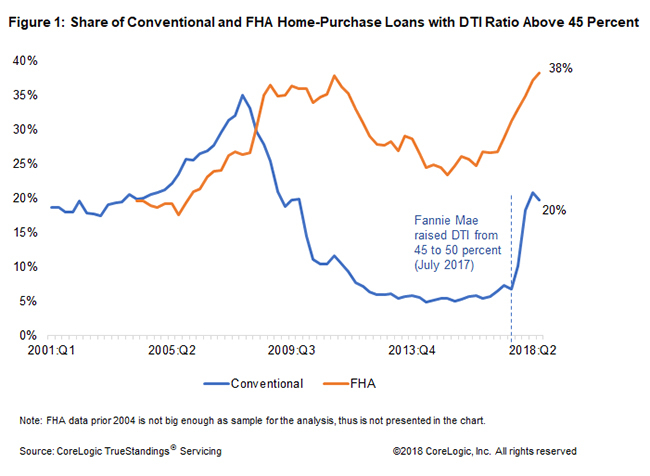 Not surprisingly, as shown in Figure 1, the share of loans with high DTI ratio loans appears to have been triggered for both GSE and FHA lending by Fannie Mae’s action.